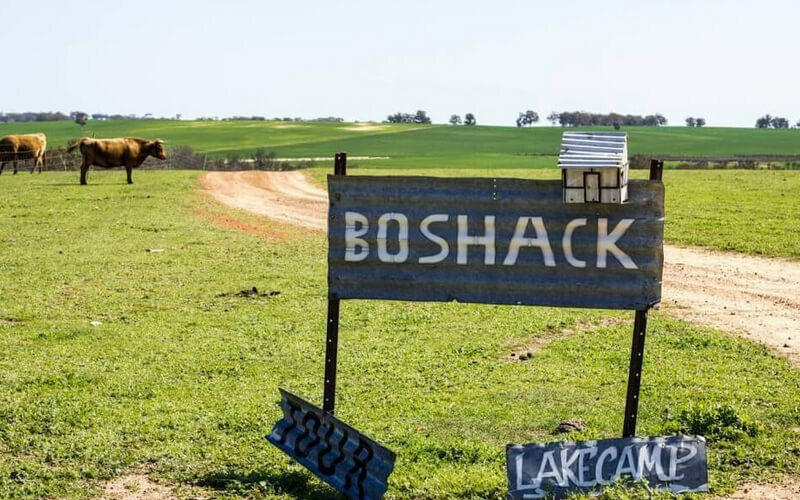 Boshack Outback is a family owned and family operated, secluded 300-acre real working farm. Situated in an ‘Outback Oasis’ environment, just 90 minutes North-East of Perth. Pristine virgin bushland, a large freshwater lake, wildlife, and natural springs surround the property. And above all – the pioneer’s waterhole is still in place and intact. Boshack Outback operates throughout the year, offering a varying and wide selection of the finest tours and accommodation packages. Prices are very competitive and affordable. Our tours range from authentic nature-based excursions to natural history tours of our beautiful Western Australia. Most popular amongst these are the farm stays, camping, retreats, stargazing, day tours in and around Perth and more. 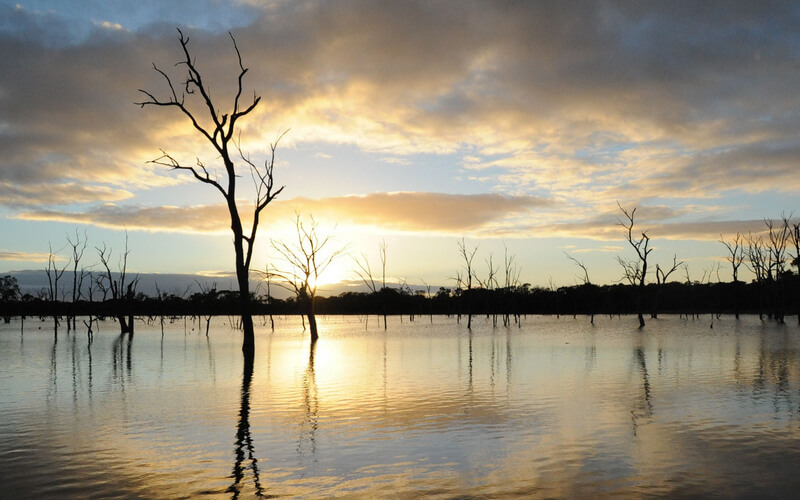 At Boshack you can experience the special flora and fauna of the Australian bush and wilderness in its natural state. Our on-site facilities are eco-friendly, to preserve the harmony of the local habitat. 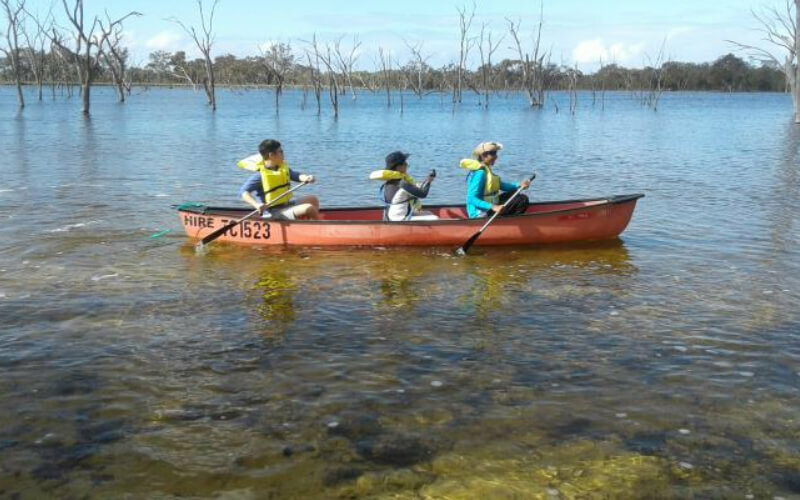 We offer many activities that will capture your interest, from birdwatching to boating, camping, and canoeing, bush walks, and trailer rides. Join in and feed the horses, catch freshwater crayfish which you can buy and eat. Build a mia-mia as the aboriginals did, find water, boomerang throwing, aboriginal Dreamtime, hiking, fishing and so much more to give you an awesome experience. Life was lived quite simply by the early settlers in Western Australia. They had very little possessions and money, built their own homes with no electricity, cooked all their meals over a campfire and literally lived off the land experiencing many hardships. Twenty years ago the owner squatted on the Boshack property for five years, living in a small shack, which he built in the middle of the bush. The peace and tranquillity on Boshack was his way to relax, away from the pressures of the business world, and the hustle and bustle in the city. Whilst experiencing some of the hardships faced by the early settlers to this land, he soon realised that this simple life in the bush and nature in general offered something very special for the mind. Over the years our family and friends have been very fortunate to enjoy this unique location for rest and relaxation. Having received many requests and suggestions to share this wonderful location with the rest of the world, we finally considered and acceded to these requests, and opened our doors to the outside world with well planned out tours, accommodation packages and itineraries that grew over time. We have endeavoured to keep the property in its natural state, thus the facilities are simple, so as to preserve the natural habitat. Welcome and enjoy the experience. Why choose Boshack Outback for your next tour? Tours: We have planned specially selected action tours unique to Perth and most of Australia, and have specialized in Wildlife, Nature and Farm Sight-Seeing Tours for over 10 years. Accommodation Packages: Browse through our special day packages and overnight stay packages – custom built to suit your requirements and give you the most enjoyable holiday experience. Best Itineraries: Boshack Outback tour itineraries include the flexibility to pursue individual interests. Moreover, they provide an in-depth insight into the natural world with minimal impact on the environment. We have Wildlife Tours that let you experience nature in small groups. Dedicated Tour Leaders: Our tour leaders are experienced and dedicated naturalists who enjoy imparting their knowledge of our natural history. It is this caring and dedication that make our tours a huge success and have our happy clientele returning again for more, and also recommending us to their friends and family. Rewarding Experiences: It is indeed a rewarding experience when you travel with people who share your love for nature. See an abundance of wildflowers (in season), plants, birds and animals in their natural habitats on our planned tours. And we have found that sharing such wonderful experiences have led to many touring companions become close life-long friends! Sustainable Living: At Boshack Outback, we have taken green living to the next level. We are a solar-powered location with no mains power to our property. Our gardens are solar controlled by solar clocks with water drippers in both summer and winter. The idea is to give little water often, during the daytime. We are honoured and proud to have been one of the 26 sites selected for Eco Sustainability to be presented to OFFSEAS Singapore in May 2018. It’s uniqueness being that Boshack Outback was the only off-grid location in the world presented at the Forum to represent the Real Australiana. Look at the yabbies in our ponds. Also, pull in the nets and purchase to eat if so desired. Constantly filled with fish, fishing at Lake Serene is only catch and return! If the population grows, we might be able to have some on the menu. Cook your sausages and meat using paperbark from our paperbark forest, like the aboriginal people did thousands of years ago. The Wattening Springs Nature Reserve consisting of over 100 acres of unspoiled bushland that adjoins the Boshack property. Relive the early culture created by our pioneers. Lodge in shacks that have a peaceful lake view. Eat bush tucker food. Be touched by nature as you take part in outdoor activities in a bush setting. While it is basic it can still be comfortable and leaves one feeling relaxed. Isolated and in the middle of 5000-acre farms, Boshack Outback allows you a getaway from crowds, tall buildings, and traffic. It is one of the few Western Australia iconic locations where you can visit all year round. Being directly east of Perth, our rainfall is only one-third of Perth’s. Located in Western Australia, we do have some hot days. Being next to a beautiful lake and surrounded by springs we seldom notice the heat. Spend a relaxed evening, enjoying the sights and sounds of the night. Recap the highlights of the day with your friends as you sit around the campfire. The glorious starry skies are the real magic of Boshack. Day visitors can also enjoy this before they leave after their scrumptious Aussie BBQ too. Boshack Outback has specialised in nature and wildlife tours for over 10 years. We invite you to join us on any of our tours, and to share our passion for the beauty and wonders of the natural world. Boshack Outback will ensure that your touring experience is comfortable, exhilarating, stress-free, and you will take home with you, some wonderful memories of the great Australian Outback!